Nearly half of all homes in America don’t have landlines. For the younger generation, even more are foregoing antiquated landlines — 71% of people age 24 to 34 use only their cell phones. With the trend toward more Americans cutting the cord on their landline, we are seeing a corresponding increase in the safety risk. When a 911 call is made from a cell phone, emergency dispatchers are not as consistently able to determine your location. In fact, their ability to geo-locate cell phone calls can be as low as 10% in some areas of the country. Specifically, the failure rate of a 911 dispatcher to determine the accurate location of a cell phone call is 90% in Washington D.C., 71% in Virginia, 67% in Texas, 63% in California and 42% in Colorado. While landline calls are linked to an address in emergency response systems, the outdated technology of many 911 service providers means cell phones do not offer the rapid location data of a landline call. As John Oliver, the popular host of Last Week Tonight with John Oliver on HBO, described on his show recently about the emergency response infrastructure, your cell phone location services are more effective with apps like Dominos Pizza Delivery or Uber than when calling 911 from your mobile phone. During an emergency, time is critical. According to the FCC, more than 10,000 lives would be saved each year if police officers, ambulance crew and firefighters could reach callers just one minute faster. And time is being lost when emergency response personnel are struggling to identify the location of cell phone calls, especially when callers either don’t know the address where they’re calling from or cannot speak to tell the dispatcher their location. Additionally, the GPS services on cell phones are better suited to the open highway than multi-story buildings. About 58% of 911 calls are made indoors, causing difficulty in finding the site of the emergency. While landline calls placed in multi-story apartments or office buildings have a number that provides information about the story and suite number the call is originating from, emergency calls from cell phones often do not have this detailed geospatial data, making it harder for injured people to get help. To address this problem in a more comprehensive way, the issue will need to make its way through Congress, through phone carrier policies and through each city’s and state’s emergency response technology infrastructure. No doubt this complex problem will not be resolved any time soon. Meanwhile, there are actions you can take to protect yourself and your loved ones in the event of an emergency. 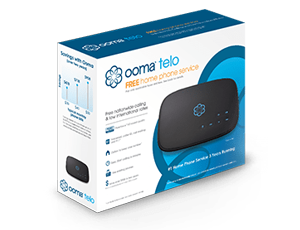 VoIP technologies like Ooma offer a landline alternative that integrate your cell phone and your home phone into a single communications solution. Using the available emergency settings, Ooma will share your address with emergency service providers so they can easily find you or your loved ones in the event of an emergency. The settings on Ooma’s E911 service, or “Enhanced 911,” automatically transmit your address and phone number to the emergency operator when you make a call. To confirm or change your information, visit My Ooma and navigate to “Account,” then to “Service Address.” You can then validate your system by calling the non-emergency number, requesting permission to make a test call and confirming the address after taking the test call. In addition, when a 911 call is made from an Ooma smart home phone system, the technology delivers real-time text and email alerts to family members or friends as designated by the Ooma account holder. When leaving children home with a babysitter or having an elderly loved one at home, these 911 notifications can offer both protection for your family and peace of mind for you when you are away. Ooma users have reported that these notifications are so fast that they have been able to arrive at the scene of an emergency even before the police, fire department or ambulance. To set up these alerts, start at the My Ooma page, navigate to “Preferences” and then “911 Alerts.” To test the functionality of these alerts, dial 6-1-1 from your Ooma phone, and a recorded message will confirm the system test. Then check your text messages or email inbox for the alert messages. Confirm that the address included in the message is accurate. A custom message can also be configured for your email and text alerts. Users can add up to 256 characters of information specifying important details about your loved ones, including names, ages, medical conditions or medications. 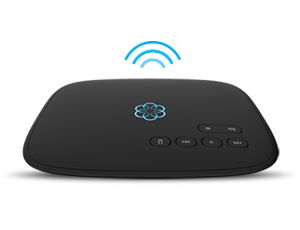 Many of the most useful smart home products and services integrate with the Ooma Telo to provide additional safety and security for family and loved ones. Combine Ooma and Nest to automatically turn on call forwarding when you leave the home and receive a text notification (and an option to dial 911) when smoke or carbon monoxide is detected. Combine Ooma and Phillips Hue, LIFX or WeMo to get alerted of incoming phone calls or voicemails visually with lights. Combine Ooma and your iPhone or Apple Watch to be notified on your device of an incoming call or voicemail when away from home. Combine Ooma and Amazon Echo to make hands-free calls and playback voicemail simply by interacting with Alexa. Not only does switching to Ooma provide you more safety in case of an emergency, it also saves your bank account from an added expense. Each month, you would save an average of$30 per month by using Ooma for access to its enhanced emergency services and for making unlimited, nationwide phone calls over the Internet. Consumers want a landline in the home for safety, convenience and peace of mind. They simply don’t want to pay too much for it on a monthly basis. Ooma provides unmatched value with smart home phone services that give families the protection and security they seek.